An ESG survey of 400 enterprises revealed that, on average, organizations spend 28% of their IT budgets on storage inclusive of systems, software, and services. Another study found nearly 74% of respondents stating that they were planning on maintaining or increasing storage spending in 2009 compared to 2008. 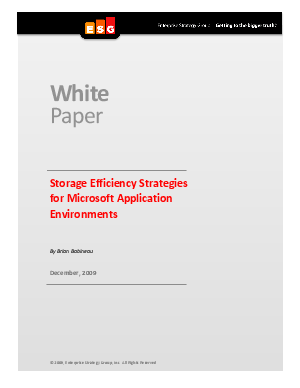 Even with most IT departments operating in "cost reduction" or "cost containment" mode, constant data growth and inefficient operations make it hard to curb storage-related expenses.